Tahoe Best Friends offers the best pet sitting service on the South Shore of Lake Tahoe. We offer services such as pet sitting in your home or hotel. We can care for your pets which includes cat sitting, dog walking, and transportation in our fetch mobile vehicle! We are here to help socialize, train, properly exercise and provide mental stimulation for your dog friendly pups to keep them healthy and happy! 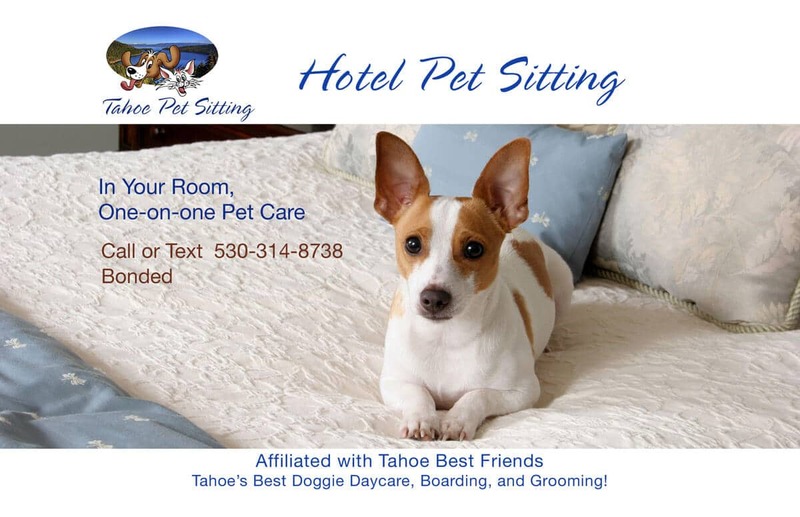 Tahoe Best Friends offers an exclusive boutique style pet sitting service on the South Shores of Lake Tahoe. WE offer pet sitting in you home, hotel room OR our center-style cage free boarding for dogs. We are BONDED. Our Staff are expert professional pet sitters! Done properly, pet sitting requires the utmost in care giving, ethics, attention to detail, diligence and responsibility. We care when you're not there! Call or Text us at (530) 314-8738 for your pet sitting needs!